Ski the Alps and Learn French – All in the same Trip! French and Skiing: there’s no better way to make the most of an action packed holiday than combining skiing with some French lessons. Ski in one of the worlda��s top ski resorts a�� Morzine, whilst improving your French – all beneath the majestic peak of Mont Blanc. As well as getting some skiing or snowboarding action Morzine also offers great aprA?s-ski in the fantastic ski areas of Morzine – Avoriaz. You can take 15 hours of lessons per week, in the morning with our native French speaking teachers. 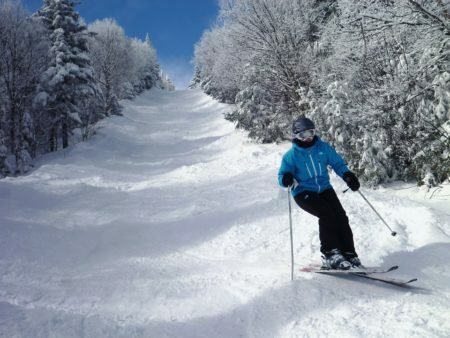 Whatever you learn in the classroom you will have the chance to practise out and about on the slopes and in the town. This is the best way to improve your French quickly! There is free wifi access in the school and an activities programme that helps you get the most out of your trip, encourages you to practise your French and enables you to make friends easily. 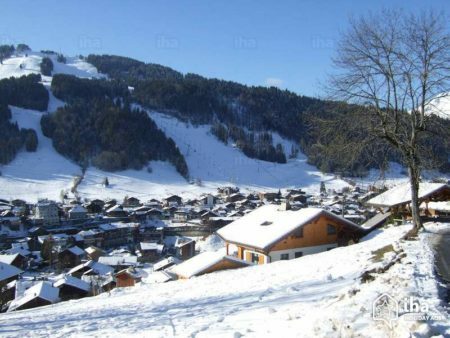 You can study French in Morzine at all levels, from beginner through to advanced. Similarly we also welcome all levels of skier a�� from the complete novice through to the expert skier. Morzine has runs that cater for all levels of skier with some of the most challenging slopes in Europe through to nursery slopes for the beginners. You can combine 15 hours of french tuition with a shared room in self-catered chalet accommodation, including transfers to/from Geneva, transfers for the full Portes du Soleil area (6 days) all for just 1045 Euros per week. Ski hire and lesson are extra a�� just let us know what you would like and we can add this onto your package. Mountain Heaven offers reliable and high quality self-catering chalet accommodation in Morzine. Rude Chalets offer different types of accommodation – the Rude lodge (twin or dorms room) gives you continental breakfast and unlimited tea or coffee for a fantastic price. If you are looking for a more sophisticated experience, or you are coming with your family, you can rent a whole chalet from a range of beautiful traditional alpine chalets. Elevation is for people who want luxury and comfort. Not only do they offer a range of incredibly stylish self-catering chalets but also the service that goes with it. The concierge service can help you with day to day needs, from mid-stay cleans to private dining experiences. If, like the team at Cactus, you are a dog lover, then you will want to book yourself into Le Tremplin Morzine, where pets are also welcome! The hotel has 33 fully-equipped bedrooms, a steam room and sauna. It also offers a free access to the relaxation area, free Wifi, special discounts for ski rental and can arrange transfers. Beanies Bar has a great vibe and offers beers, wines, freshly made cocktails and live music. Also skis and accessories are available for sale downstairs. Another favourite is the Tibetan CafA� Morzine – a cafA� with rock/pop music, ski and snowboard videos and drinks and cocktails. And the Bec Jaune Brewery not only serves locally brewed beers and offers food sourced from local farmers it also holds language nights where you can go and practise your French! For more information on any of our courses in Morzine or for more information on any of our worldwide language holidays please call us on 01273 830 960 or email us. Our multilingual team will be happy to answer any questions you may have.